Realtor Michael Marchena Listing Agent, Lets Sell Your House! When selling your home you need a Real Estate Agent who knows how to get the word out. Michael Marchena can help you sell your home with his team of Marketing Experts and his commitment to find you a ready and willing buyer Michael Marchena will help you sell your home. Michael Marchena has an extensive back ground in online marketings and can help generate that necessary traffic needed to help you sell your home. Please feel free to call me or fill out the online contact form so we may set up a free no hassle consultation. I look forward to meeting you. Realtor Michael Marchena is a full-time, licensed, dedicated real estate agent with a lot of knowledge of Temecula homes for sale, Murrieta homes for sale, Lake Elsinore homes for sale, Corona Real Estate, Norco Real Estate, Riverside Real Estate, and all other Parts of Inland Empire. Michael Marchena also services Orange County and Los Angeles Real Estate, and has the resources to help you with all of your questions about selling your home. Realtor Michael Marchena has sold and closed many successful transactions in real estate, and has the tools and expertise to help you sell your home for the highest possible sales price, with minimum amount of hassle, in the shortest amount of time. Realtor Michael Marchena has marketing tools that other real estate agents and companies cannot compete with. Realtor Michael Marchena has been serving home buyers in Southern California since 2012 and is extremely well known within his community. Realtor Michael Marchena has built strong relationships with many other Realtors, Buyers, investors and many other professional in the Real Estate arena and keeps in constant communication with all of them to inform them when ever he has a new listing in their area. Realtor Michael Marchena has many active buyers in his database with many of them looking for a home just like yours. As a seller, Realtor Michael knows that netting maximum cash for your home is your primary goal, and he will be more than happy to assist you in reaching your goals. Realtor Michael Marchena is a professional listing agent located in Corona California and specializes in selling real estate in Inland Empire, Orange County, Los Angeles and all surrounding areas in Southern California. If you are serious about selling real estate whether its your primary residence, investment property, or a land lot and you would like to work with a professional Realtor who can give your home the proper exposure it needs in today’s market to get your property sold at the current markets top dollar value then you need to contact listing specialist Michael Marchena. Get the results you want from a listing specialist with an extensive background in online marketing. Michael Marchena is a dedicated and a hard working professional realtor ready to sell your house or land lot at the best and most qualified offer. Realtor Michael Marchena is a full time Realtor / Listing Agent and is committed to helping his clients. Michael will list your home on his web site which gets a lot of traffic daily as well as the MLS, Zillow, Trulia, Social Sites as well as many other web sites to give your home or land lot maximum online exposure. I can give your home the type of exposure it needs to sell at a price that will make you happy. I am always available for my clients and I like to work with complete transparency so that I am able to serve my clients to the best of my ability. 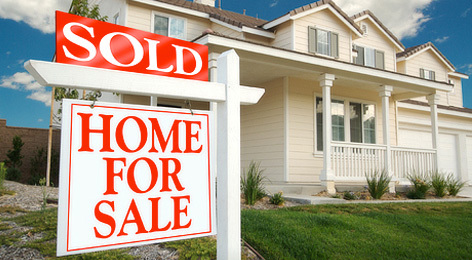 My goal as your Professional Realtor / Listing Agent is to help you sell your home. First with my knowledge of the current real estate market I will help you to determining a price for your home to help make it attractive in our current real estate market. Then I will market your home through all of my marketing channels and give your home maximum exposure online. With my background in online marketing, web design and graphic design I will make sure your home gets the best possible online exposure. I also have a background in photography and will use this to our advantage by taking the best possible photos of your home to showcase all of your homes best features with beautiful clear photos that will draw attention to your home. I can assure you that by allowing me to sell / list your home with my knowledge and experience I will help you sell your home in a timely manner and at a price that you will be satisfied with. Also providing Real Estate services in the following areas.